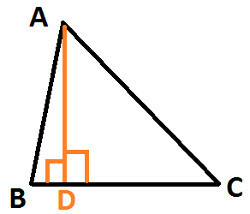 Hence, AD is an altitude of Triangle ABC. How many altitudes can a triangle have ? Can you think of a triangle whose two sides are also its altitudes ? Explain with diagram.